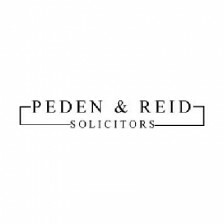 Peden & Reid is one of the longest established firms in Northern Ireland having been founded in 1895. We pride ourselves on offering the highest possible quality of service to our private and business clients based on the experience and expertise of our partners and assistants. We offer a comprehensive range of specialist legal services and are able to meet our clients’ needs in an efficient, discreet and professional manner. The Firm acts for both large and private companies, financial institutions, the public sector, statutory bodies, agricultural and marketing organisations, insurance companies, property developers and private individuals. We have longstanding links with other firms throughout the United Kingdom, Ireland and further afield through the Association of European Lawyers. We are well placed to act in transactions, which have a multi-jurisdictional dimension. Our commitment to client care and our reputation for providing high quality legal services is reflected by our entry in the Chambers UK Guide to the Legal Profession as a leading firm in Northern Ireland.